| Healthy Living Articles | Food and Meals | Holy Tornado – Cooking with the Kids! Learn how and why to get cooking in the kitchen with your kids! Getting in the kitchen with the kids can seem tiring, but with a little prep work and training, you could be on your way to having your kids cook a couple of times a week to help you after a long day! Supervise at the stove at all times, never leave a child unattended and only when the child is age appropriate should they even be near cooking appliances, blenders or sharp kitchen tools. In fact, before they can even enter the kitchen, rules need to be set and reinforced. Teach your kids how to properly cut with a knife using something first, like a banana or hard-boiled egg. Show them how to claw their fingertips. 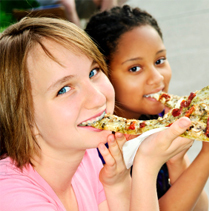 Check out these cooking tips for kids ages 2 to 12. Be prepared for a bigger mess and more time than it would take were you to do everything yourself. Have them wipe cooking surfaces and pick up crumbs on the floor with a handheld vacuum or a small broom and dustpan. Using a spray bottle with 1/3rd vinegar and 2/3rd water can sanitize counters and be safe for little kids. Depending on age, dishwashing can be a fun and rewarding help to Mom and Dad – have them wash the lightweight bowls and plates that were used during cooking (you can always put them in the dishwasher when the kids leave the kitchen – it’s the thought that counts). Just make sure to share their excitement over the biggest bubble they’ve ever seen! 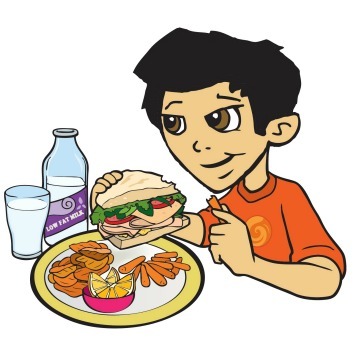 If it feels like a bother, remember it is worth it – you are teaching your child valuable skills and signaling the importance of healthy food. Rinse fruits, veggies, and herbs after your younger child has chopped them up – chances are they’ve touched their nose, ear, the table, and the pet in the process of getting those little cubes as perfectly even as possible. Also, teach kids to wash hands in between different foods. For example, after handling cheese and eggs, it’s important to wash up before handling vegetables and fruit. Now that you’ve got these tips down, start cooking with a basic recipe, like the salad dressing below or this tasty onion dip! If your child helps make a salad dressing, they’re more likely to eat the slaw, chopped veggie or salad. Store-bought salad dressings often have food coloring, additives and a lot of sugar. By making your own, you’ll boost nutrition and save food dollars! Let your kids experiment with their own ingredients. Basic combos always include an oil, an acid (vinegar, citrus juice), sweetness (honey, sugar), spices and herbs. To make it creamy, add Greek yogurt or tahini. 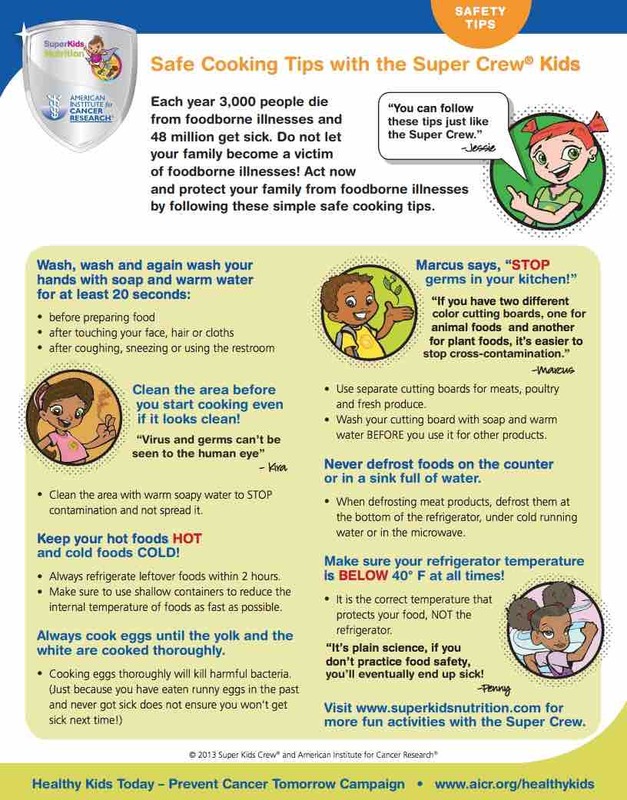 Check out these food safety tips with the Super Crew. Now that your ready to cook, check out this tasty lemony herb dressing – an easy recipe that will have your kids eating their vegetables!